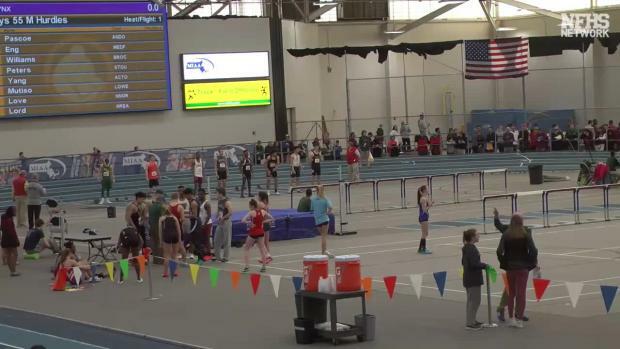 Adam Yang of Acton-Boxborough had been virtually flawless for the entire season dominating the hurdles finals for all meets at the Reggie Lewis Center this winter. 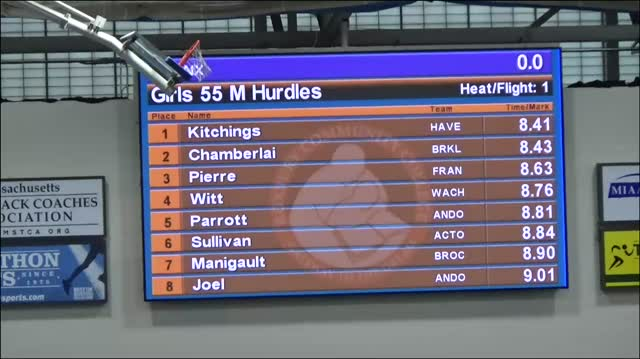 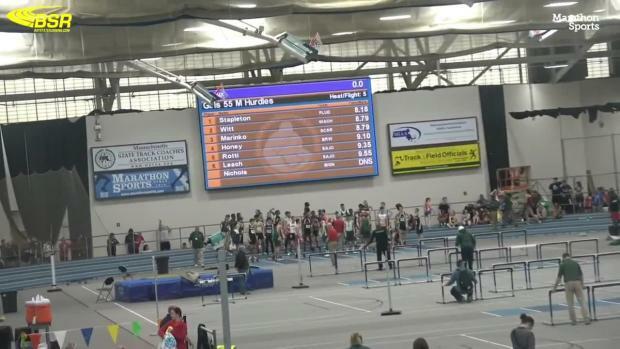 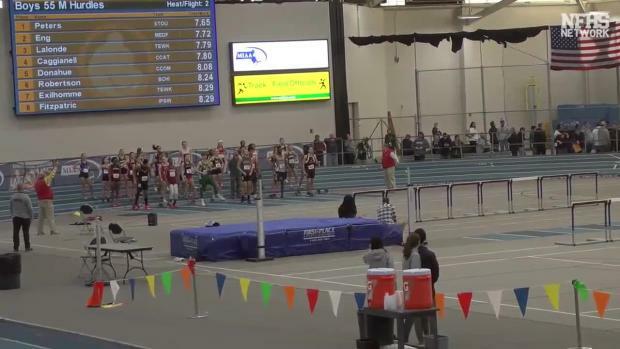 However, the state leader clipped an early hurdle last week at the MIAA All-State Meet and suffered his first loss of the season in the 55 meter hurdles to David Peters of Stoughton. 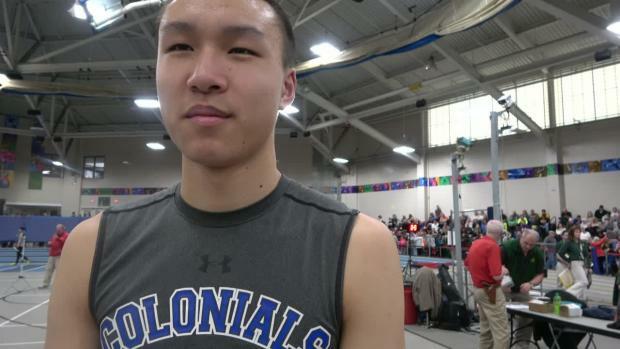 An untimely mishap for the University Penn commit Yang to not be this year's state champion, but he recovered well this past weekend at the New England Championships to get back on top of the podium again winning the boys 55 hurdles title over Connecticut state champion Edward Williams of Sacred Heart with a personal best and US #9 clocking of 7.39. 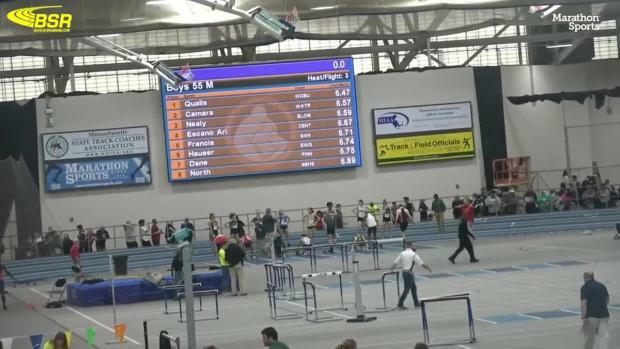 Meanwhile, All-State champ Peters unfortunately failed to make the finals finishing 12th in the prelims with a time of 7.89.